“Presidential candidate @realdonaldtrump waved while attending the @iowastatefair in Des Moines, Iowa, on Saturday. 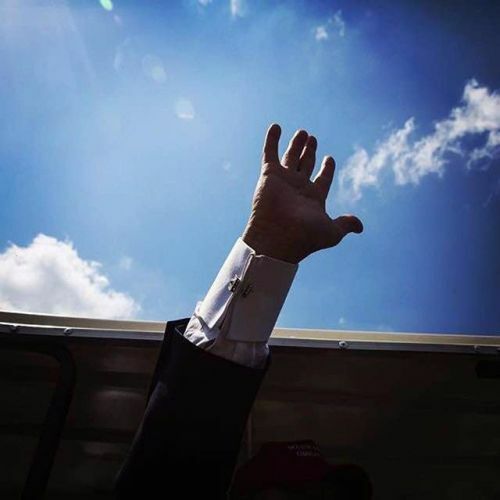 @realdonaldtrump leads the crowded Republican field in state polls, but based on the spectacle that surrounded him on Saturday, it was hard to decipher whether people swarmed to see a celebrity or their next president. The answer, it seemed, was a little of both. @ericthayer took this photo while on #nytassignment in Iowa. #regram #ISF2015” By nytimes on Instagram.